A new informational booklet entitled “The Livonians/Līvlizt” has just been issued. The articles in its 48 richly illustrated pages are not long, but contain extensive information on Latvia’s other indigenous nation – the Livonians. This nation, while not large in number, has had considerable influence on the development of modern Latvian language and culture throughout history. This booklet acquaints readers with Livonian symbols and celebrations, with their community organizations, archives, exhibits, and monuments. A great deal of attention is paid to ancient Livonian history and archeology as well as to more recent events in the 20th and 21st centuries. This publication offers its readers a chance to learn a bit about the Livonian language and its uniqueness as well as words and other language features borrowed from Livonian into Latvian. It also provides an introduction into proverbs, legends, folk beliefs, the significant days on the traditional calendar, and the individuals who have documented Livonian folklore. This booklet’s authors have also included information on other aspects of traditional culture, clothing, and food as well as on the literature, art, and music that form contemporary Livonian culture. In addition, this material highlights Latvian writers, artists, and musicians who have either Livonian roots themselves or have incorporated Livonian themes into their work. Readers interested in learning about the Livonians’ historic homeland on the Northern Kurzeme (Courland) coast will also find this book useful. It provides a guide to the Livonian Coast and the twelve fishing villages once inhabited by the Livonians. It also gives an introduction to the history of this area and information on its most important structures. 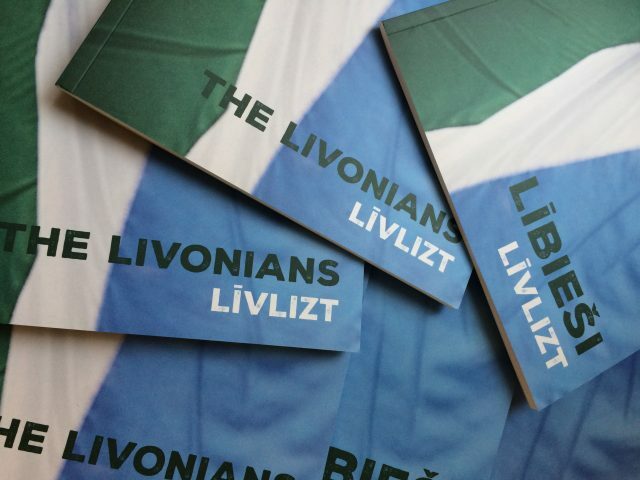 “The Livonians/Līvlizt” is available in Latvian and English. It was published by the Livonian Union (Līvõd Īt) in cooperation with the Livonian Culture Centre (Līvõ Kultūr sidām) and with the financial support of the Ministry of Culture of the Republic of Latvia.